This entry was posted on October 11, 2018 by Eddie Dunk | E-Commerce Manager. We are pleased to announce that as of 2018 JJ Roofing Supplies will be keeping stock on natural Welsh slate within London and Hertfordshire. Bulk stock will be held at our dedicated distribution centre with each of our 6 stores holding stock on the ground. 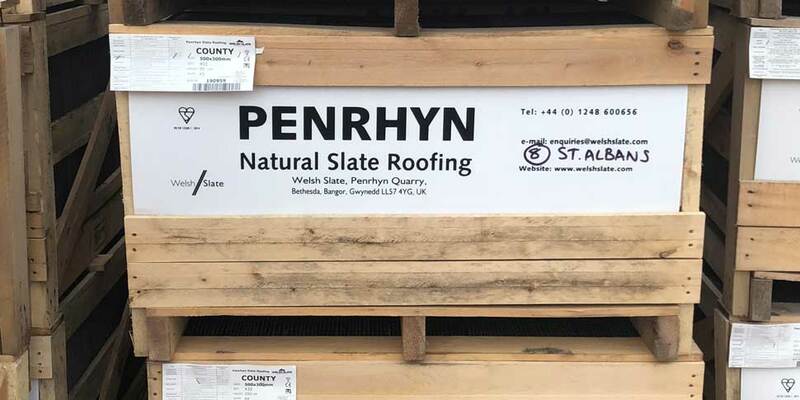 Our online e-commerce store will also be able to offer Welsh slate nationwide on a next working day service. This decision was taken to battle the extended lead time that currently apply to supply of welsh slate (currently upwards of 8 weeks) and service London, Hertfordshire, Essex and nationwide via our online facility. JJ Roofing Supplies has recognised an increase in demand over the last 12 months and are hoping to aid their current customer base in being able to complete their work on time. Stocking Welsh slate will add to our already extensive natural slate range which has many variations of Spanish slate already. Contact your local branch if you would like a quote for your project, order online, call our sales team on 0333 700 11 11 or email us at sales@jjroofing.co.uk.